Ukrainian President Petro Poroshenko has appointed Rothschild Trust as trustee in a blind trust to hold his shares in Roshen Confectionary Corporation. "This follows over 12 months of extensive preparation. The relevant trust deed was signed on January 14, 2016," Rothschild Trust said, responding to a request of Interfax-Ukraine. "The trust has been modeled on international standards for politicians requiring trusts to hold their assets while they are in office," Rothschild said. Rothschild Trust said that as a matter of principle, the company never comments on individuals or client relationships, but on this occasion it has been authorized by its client to confirm this information. After the inauguration as president of Ukraine, Poroshenko stated his intention to sell all assets and hired for this purpose Rothschild and ICU investment companies. However, due to the lack of potential buyers on January 14, 2016, the president said he signed contract under which he transferred his stake in Roshen Corporation to an independent 'blind trust'. "What does this trust foresee? First of all, during my tenure as the president, neither I nor someone else can terminate this trust. Secondly, under the contract, neither my signature nor my orders have legal force. A respectable foreign bank of the first category will manage the trust, it will own, control and manage the assets," he told reporters at a press conference in January 2016. The president said that following Roshen, International Investment Bank where he holds 60% of shares will be transferred to the management of a trustee. According to an investigation as part of the Organized Crime and Corruption Reporting Project (OCCRP) based on the data from the so-called 'Panama Papers', which are the documents obtained from a Panama-based offshore services provider, Poroshenko established a company in the British Virgin Islands on August 21, 2014, and then failed to mention it in his income declaration. As of August 21, 2014, Prime Asset Partners Ltd.'s shares had a total value of $1,000 and Poroshenko was listed as the sole shareholder. In the fall of 2014, Prime Asset Partners Limited established CEE Confectionery Investments Limited in Cyprus, which in turn founded the Roshen Europe BV company in the Netherland. The published report says that these companies were set up as the preparation for the sales of the Roshen Group. 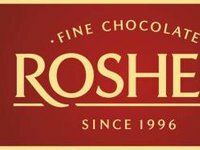 Roshen Corporation includes confectionery factories in Kyiv, Kremenchuk and Vinnytsia, and the dairy producer Bershadmoloko. It also runs confectionary facilities in Klaipeda (Lithuania), Lipetsk ( Russia), and Bonbonetti Choco (Hungary).